More than a month into her retirement, Ombudsman Conchita Carpio-Morales said she is "excited" about stepping down from the Office of the Ombudsman. 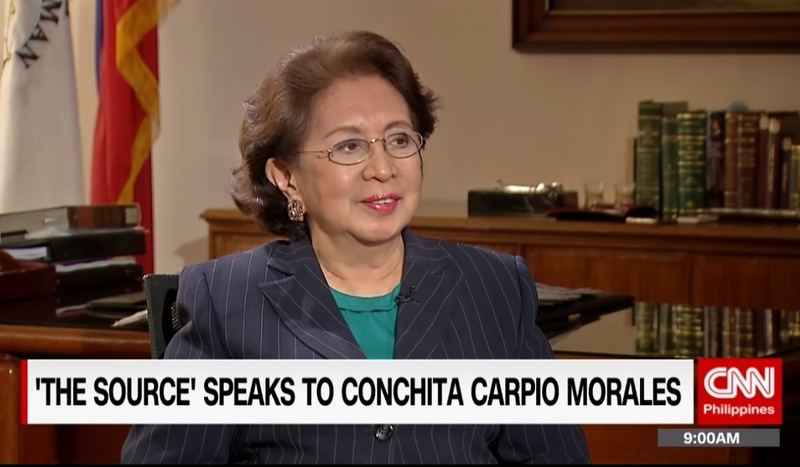 Speaking exclusively to CNN Philippines' The Source, the Ombudsman said she is looking forward to her retirement, but admitted that she will miss her staff. "I'll miss them and they'll miss me too, I'm sure. They'll miss my voice, they will miss my crankiness, they will miss everything about me, especially [since] most of my staff came from the Supreme Court," she said. Carpio-Morales, who is set to retire on July 26, is leaving the anti-corruption agency with a reputation as a no-nonsense anti-corruption buster. But some, of course, are still accusing her office of selective justice, particularly in dealing with the PDAF cases involving Senators Juan Ponce Enrile, Bong Revilla, and Jinggoy Estrada. The Ombudsman argued that their cases were prioritized given their high-profile nature, "and more importantly, Napoles executed an affidavit naming them, detailing the circumstances that gave rise to the cases." Webb also asked the Ombudsman to comment on former DOJ Sec. Vitaliano Aguirre's decision to put Napoles in the Witness Protection Program, which has since been terminated by his successor, Sec. Menardo Guevarra. Carpio-Morales said it was "unfounded" on the part of Aguirre as the Office of the Ombudsman has the final say on who will be indicted. "The cases filed in court, that was not his concern. It was the concern of the Ombudsman. So he was out of tune when he was saying that he was considering Napoles to be a state witness, unless, of course, he was referring to cases that were going to be filed yet. But then again he could've not stated that because again as I said, it is the Ombudsman who will determine who will be the state witness," she said. Asked what's next for her after her seven-year stint at the Office of the Ombudsman, Carpio said she has ruled out running for public office as "politics is not for me." "No, never. Well, to begin with there's this provision against an Ombudsman running for a public position after his or her retirement. Of course, some people are pulling my leg," she said.